Splendour eye: They stand above all ! Most of we people have never lived a single day blaming life for the circumstances we live in. Everyone thinks that their problems are bigger than the others'. In the excitement of cursing life, we have forgotten to live the Life. But there are few people who stand apart, and one among such people is Jessica Cox. We have two eyes, arms, legs and everything working right. But still we feel it is not enough to achieve something in life. 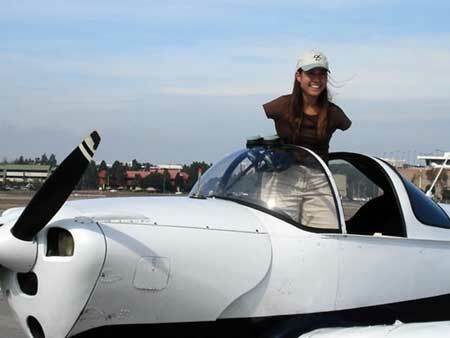 But unlike most of us, Jessica Cox, a girl from Tucson, Arizona was born without arms. But this defect never deterred her from being normal and flying over the world with her feet. She is able to put her contact lenses, apply makeup & brush hair using her feet ! Doing every everyday activities and even driving a car is not at all a challenge to her. She was the first person to get black belt in the American Tae Kwon-Do Association and the first pilot in aviation history to fly with her feet !! This doesn't mean that she hasn't struggled through the life ! But It shows that how one can surpass the one's disability. As she writes in her own website, "I am convinced that how we react has a greater impact on our lives than our physical constraints." She is a source of positive energy. Her every words speaks themselves about her self-confidence. She is also an International Keynote Speaker. She share the different challenges & obstacles that came across and how she outthrew them. She also stands as an inspiration & motivate us, who are always bothered about the one's disabilities.